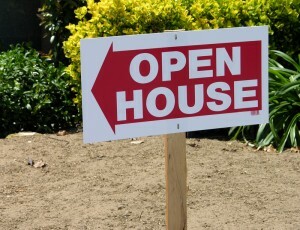 Why would a successful real estate office consider hiring a real estate answering service? Few industries are as competitive as real estate. If you want your business to grow and thrive you need to take advantage of every available tool that will help you connect with and serve your clients. You have appointments to make, homes to show, calls to take, etc. You may feel you do not have time to breath. You need help. You need a live real estate answering service. CallCenterPlus.com is your best choice for a live telephone real estate answering service. We are here 24/7/365. Your clients can call anytime and we will send a message to you so you can call them back at a more convenient time. We give you a proprietary number to forward your lines to. We answer your calls using your answer phrase, making us a virtual, seamless extension of your office. We can let callers know if the properties they are interested are still available and schedule appointments for you. If your office handles rental property we can contact your on-call people when you get an emergency call. Given the proper guidelines you provide us, we will determine if the call really is an emergency or if it is something that can wait until morning. In other words, the phone won’t wake up your emergency on-call person unless the call is really an emergency. We are awake anyway…let us handle the call. We bill on a 28 day cycle. You only pay a nominal monthly account maintenance fee and then for actual operator time, which we round to the nearest second. You are not locked in to contracts or bundles. You get all of our services all the time. We do not price services “al la carte”, so you are free to add information or services, delete info or services, or completely overhaul your account as you find the best way to meet the needs of your clients. We know BoomTown and Propertyware! If you use these software programs, or programs similar to these, we are comfortable using them. No doubt about it. Thriving real estate offices need a live telephone real estate answering service. Check us out. We think you will be “sold”. Mention: Real Estate Answering Services or Real Estate Call Center and receive free set up of your account. Real Estate Answering Services.